The US Senate has launched a bipartisan probe into the White House’s alleged funding of an NGO pushing for the ouster of Israel’s prime minister, Benjamin Netanyahu, a source told Fox News. According to the source, the US State Department apparently handed taxpayer-funded grants, worth $350,000, to the OneVoice Movement. OneVoice allegedly forwarded the money to its subsidiary in Israel called Victory 15 (V15), which is committed to ousting Netanyahu due to the PM being an obstacle to the two-state solution to the Israeli-Palestinian dispute, brokered by the US. “It’s confirmed that there is a bipartisan Permanent Subcommittee inquiry into OneVoice’s funding of V15,” the source said. OneVoice is prohibited from directly targeting Netanyahu by US law and can only do it through its Israeli partner, V15. According to Fox News, V15 is “itself guided by top operatives of Obama’s White House,” with Jeremy Bird, who was Obama’s deputy national campaign director in 2008 and national field director in 2012, arriving in Israel to direct the group. There’s been no confirmation from a US Senate investigatory committee, which is a body with subpoena powers, that such a probe is under way. One Voice spokesman Payton Knox has denied allegations that the NGO is working with the White House to affect the outcome of Tuesday’s Israeli election. 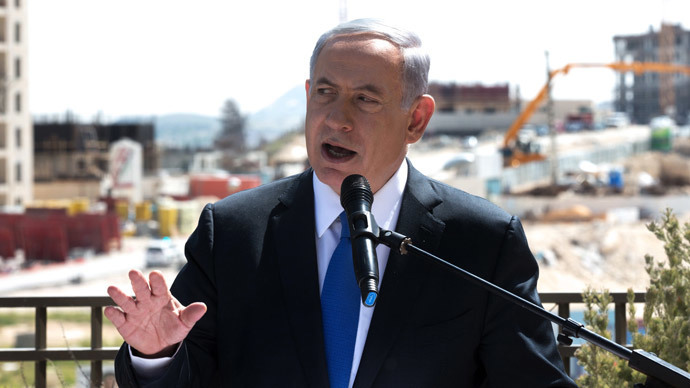 Netanyahu has accused left-wing forces in Israel and abroad of orchestrating an “Anyone but Bibi” campaign, aimed at removing him from power after six years as prime minister. "Left-wing and media elements in Israel and abroad have conspired to bring [Zionist Union leaders, Isaac Herzog and Tzipi Livni] to power illegitimately, by means of slander at home and unprecedented money from abroad," the PM said Friday, Haaretz reported. On Monday, Netanyahu once again showed himself an opponent of a two-state solution, insisting there would be no Palestinian state as long as he remained Israel’s prime minister. No direct link can be established between President Obama and the campaign against the Israeli PM, with the State Department announcing that it stopped funding OneVoice in November 2014 – before the election was called in Israel. The antipathy between Obama and Netanyahu is well known, with the US president refusing to meet the Israeli PM on his recent American trip and criticizing Netanyahu’s speech to the Senate. Recent polls show that Netanyahu’s right-wing Likud party is trailing the centrist Zionist Union with hours remaining before the beginning of the vote in Israel. “I don’t think that President Obama is sending money to the leftist parties in Israel,” Yossi Beilin, a former member of Israel's Labor Party, told RT. 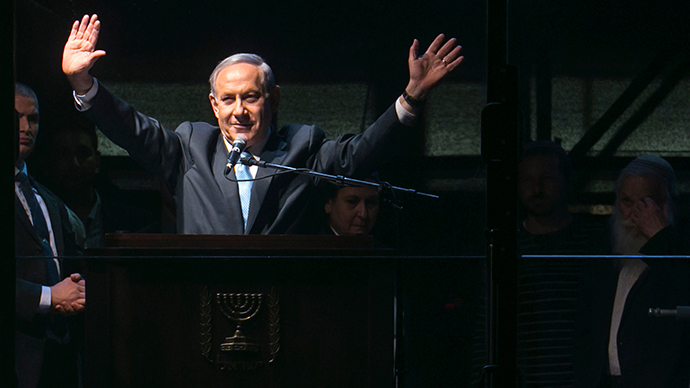 “Netanyahu isn’t exactly a human rights person, he’s afraid of it,” Beilin said.